Ever wonder if anyone is listening to your customer service complaints? At AT&T, the answer might surprise you. The telecom giant is currently experimenting with a new software system that transcribes customer calls. Using machine learning, AT&T's system offers feedback in close to real time to help company reps. The system can even detect customers' emotion, and it offers an interactive database that employees can query for insights on the kind of calls they're getting. 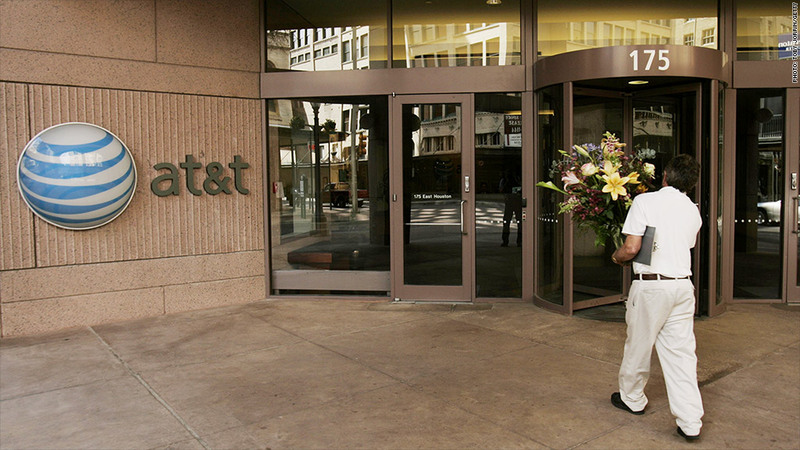 Say AT&T (T) starts getting a bunch of angry calls about service quality from customers in a specific neighborhood. The system can detect those complaints and chart them by location, allowing employees to isolate the problem and quickly brief customers on the situation. It can even anticipate the kinds of questions a customer might ask so reps can be ready with the answers. Related: When is 5G coming? And how fast will it be? "The tool allows us to do this kind of processing in very close to real time," said Mazin Gilbert, assistant vice president for technical research at AT&T Labs. "If a customer is unhappy, we want to do something at that moment in time as opposed to after the conversation is over." The system is also a potential sales tool. It can parse conversations and, based on its analysis, suggest new products and services that a customer might be interested in. AT&T also uses it to monitor online discussion of the company by mining comments on Facebook (FB), Twitter (TWTR) and other Web services. But the software wasn't built just for customer service. With its speech-recognitiion abilities, it could have applications throughout the business world. With meetings and teleconferences, for example, the program could create searchable transcripts. It could also log and chart instances at which particular topics have been discussed. Technicians at AT&T Labs in New Jersey have even installed voice sensors in a few places within the facility where employees tend to congregate. The experiment suggests a creepy future in which anything you say at work could be recorded by a transcription system. The software is currently being used only in internal pilot programs, though Gilbert said AT&T has received a number of inquiries from interested business customers. "We're grabbing real data and the system is learning on its own, updating itself," Gilbert said. "The whole idea is to lower the barrier to allow anybody who has an application or service that generates data to see how they can improve the experience."